DUANE EVANS MEMORIAL FUN DAY SUCCESS!!! 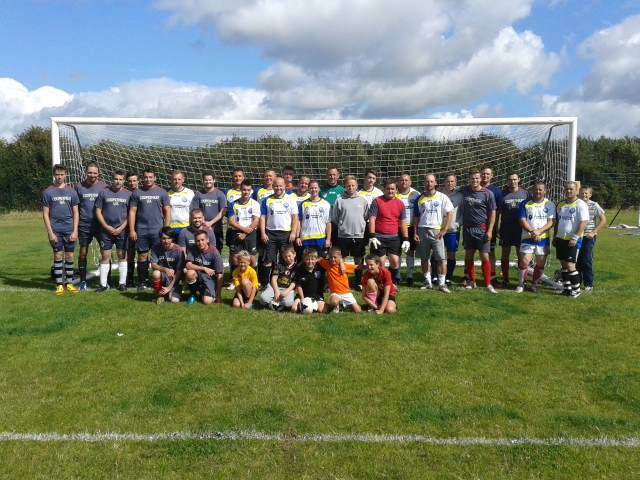 The Duane Evans Fun Day was recently held at Neyland AFC and this year’s event surpassed any other. The event is held as an annual fundraiser / fun day in memory of former Neyland AFC player Duane Evans who tragically died in a car accident. 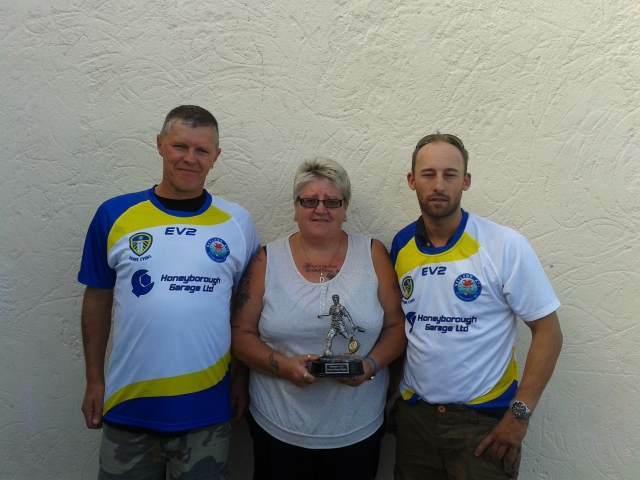 The event culminated in the Annual Duane Evans Football Match. This year’s match was the Current Neyland Playing Squad versus a Coaches / Parents / Members of the Evans Family XI. The match was an entertaining affair which ended in a 4 all draw with the highlight being Mark Riley (better known for his rugby skills) scoring a cracker of a goal from fully 35 yards out – We won’t mention his penalty which he blazed over the bar. In the resulting penalty shootout, Jim Payne (Parent) was the hero for the Coaches / Parents team in saving 3 penalties and it was left to Chris Gale (Parent) to strike home the winning spot kick. This entry was posted in Sports on August 22, 2014 by admin.